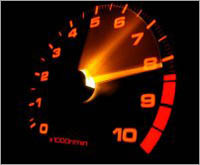 We have specialized in special and tuning products for street cars, performance cars and racing cars. Most of the products we offer has with engine and transmission to do. 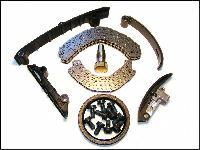 For example pistons, conrods, flywheels and clutches. Besides our own products, we always try to choose suppliers who have the highest quality. Quality often cost a little extra, but it means that you usually do not have to buy the same product multiple times. Examples of our partners are: ACL, ARP, Arrow, Athena, Bosch, Carrillo, Catcams, Cometic, Forge, Innovate, JE, K1, LUK, Peloquins, Quaife, Sachs, Siliconhoses, Supertech, SQS, Wiseco, ZF, ZRP etc. 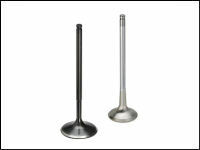 Supertech have now developed valves, valve guides, valve seals and valve springs for the Saab 9-3 II 2003- 2.0l 4cyl 16v B207 engine. 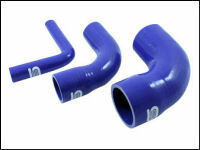 Right now we have a special offer for all Universal silicone hoses. Shop for at least 2000 SEK and get a universal silicone hose for free! More info can be found in the menu to the left and "Silicone hoses". Our partner Catcams have now developed camshafts for the nice 2.5l 5-cyl 20v 07K engine that can be found in Vw Beetle and Jetta IV. 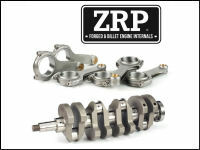 We are expanding the range and can now offer the entire ZRP range of conrods and crankshafts! Everything will be added to the store as soon as we get along, but you can already now see all the parts via their own website. If you find something interesting, please then contact us with their part number to find out our lowest price! 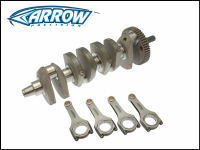 We are expanding the range and can now offer the entire Arrow Precision range of engine parts! We almost add up new products to the store every day, but usually forget to write something about them here. Therefore, here is a small list of the latest flywheels. We add more links above when the kits are up in the shop. 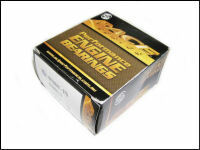 ACL engine bearings, new kits! After many requests and now after larger orders ACL have started to develop new main and rod bearing kits in their fine Race series. Everything will be added in the store as soon as we get pricing and fill up stock! We have now put together some clutch kits to Audi TTRS 2010-2014, which uses the award winning and easily tuned 2,5l 5-cylinder turbo engine. The kits are based on our lightweight single mass flywheel in steel, mixed with a Sachs Performance pressure plate and Sachs Performance discs in organic or sintered material, and as torsion dampened or rigid hub. After several request we have now developed a new single mass flywheel that completely replaces the standard dual mass on these models. As usual the flywheel is made in one piece, and of course with integrated ring gear which few others offer, and in best material, chrome moly steel. 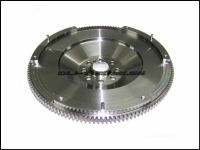 To the flywheel both standard and sport/performance clutches fits, which we also offer. 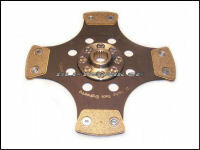 It´s not easy to know what parts to choose and which parts that fit together when it comes to flywheels and clutches. 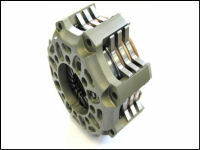 Therefore we offer many adapted clutch kits where everything need is included, to for example a rebuild from dual mass to single mass flywheel, or to an upgrade from heavy and cast to lite and forged flywheel and with reinforced clutch. This is no news, but we very much develop more kits. So send a request with information about your car and with what you want, and we look into what can be made. The more info we get from you from the start, the less counterquestions you will get. So specify brand, model, year and original power, and then what parts you are looking for. That will say if it's a conversion of a standard car, or a special build with xxxx Nm in torque. For real special builds, where often multiple disch clutches are needed, we will ask for some measures of your engine and gearbox to be able to figure out if the parts can be mounted or not. Our Czech partner SQS is currently manufacturing the first series of dogbox gear kits for Audi/Vw's 01E gearboxes. SQS has in the past year developed two variants of reinforced gear sets and now they go into production. It will be a 4-speed gear set suitable for drag race, as well as a 6-speed appropriate for road, track and rally. Common is better ratios than the standard, stronger gears, dog-ring shift and reinforced shift forks and axles. The input shaft as standard is a weak point and will here be in a version with a larger diameter for increased durability. With this you simultaneously must change the clutch disc to one with a larger spline, of course we also offer them through Sachs Performance or Sachs Race. 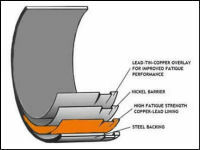 Most people may not know that the bearing manufacturer ACL, which has its factory in Tasmania in Australia, had to close the plant in August 2014 when the financial crisis that has been also made many automakers in the immediate area to scale back on production and sales therefore greatly reduced. Since all versions of bearings are manufactured in the same factory, it meant that the race-bearings we sell also minted. Therefore, the stock at ACL and here decreased gradually and we have had to remove several products when they sold out. But now we have good news, and that is that the factory just reopened thanks to an American company that invested in ACL! The production will also be at the same place, with the same machinery, run by the same staff and of course with the same fine materials as before! As if this were not enough, the prices have also been reduced by up to 18%! This is obviously something we pass on so all prices on the website are now reduced and we will reinstate and add more products in time after they are manufactured. Sachs Race Engineering has recently changed almost the entire range of their motorsport clutches and everything is of course only for the better! Thanks to better materials, higher pressures and new design, some clutch kits now handle more than twice the torque of the past! 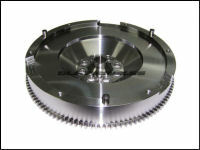 As an example, the popular 2-disc 184mm/7,25" sinterpad clutch can now handle 1310Nm in its strongest performance! If you go to the most powerful available today its a 3-disc 200mm/7,875" sinter capable of 2480Nm!! Can any other manufacturer match this and our price per Nm? We have in addition to updating each part separately now also put together several different clutch kits to facilitate for you to buy a kit. Choose kit for maximum torque and type of clutch disc, depending on how the car is used, then fill in what spline your gearbox has and we provide the right parts. We are poor at updating here on the start page about what happens, but the more is instead going on among the products. We daily add new products and old products are updated with newer pictures and more information. This is difficult for you as a visitor to notice, but something happens all the time! # New flywheel models are produced weekly and we list models we think might be interesting to others. # More metal gaskets from Victor Reinz has been posted. Most Audi and VW, but more are available on request. # Metal gaskets from Athena, Cometic and JE has been posted. Most Audi and VW, but more to come! # Rods from Catcams are now listed to some models. Due to increased sales and better purchasing contracts, we have now been able to reduce the price of all cam chain kits! As usual we have not bargained on the quality, an all the parts are from the original manufacturing companies such as Febi/Bilstein, IWIS, Ruville and VAG. We gladly put together more kits to other models on request. The cars are getting on in years, and the solution itself is no news. 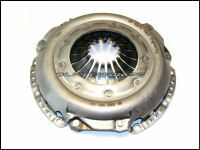 But new is that we now offer complete clutch kits for Volvo 850/S70/V70 Turbo. The kits fits the easily tuned five-cylinder turbo engines. B5204 FT, FT B5234, B5234 T4, T5 B523, B5254 T to name a few. Flywheel, Pressure Plate, Disc, Release bearing, Pressure plate bolts and Flywheel bolts. 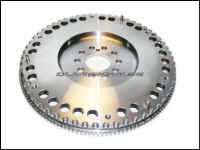 The flywheel we use is our own special flywheel in chrome moly steel. 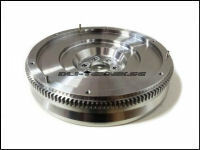 The flywheel is as usually made ​​as billet, that is all machined from one single piece. This can not be compared with an original cast flywheel that is both heavy, does not fit with any sport pressure plate without modification, and is not suitable for high loads and speeds due to cracking. The pressure plate we use for the reinforced kits are Sachs classic "707" which is normally used for Audi. It is incredibly strong and although specs say max 775Nm with sintered disc, we know many customers running up against 800-900Nm with no problems. The discs included are different depending on the kit, either organic sportdisc or sinter disc, both with torsion or rigid centre. 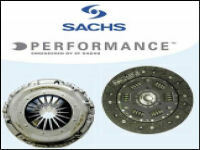 All parts come as usual from Sachs Performance, and is therefore not a low-cost/low quality choice. 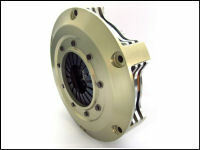 Only the best is good enough when it comes to clutches for tuned cars !